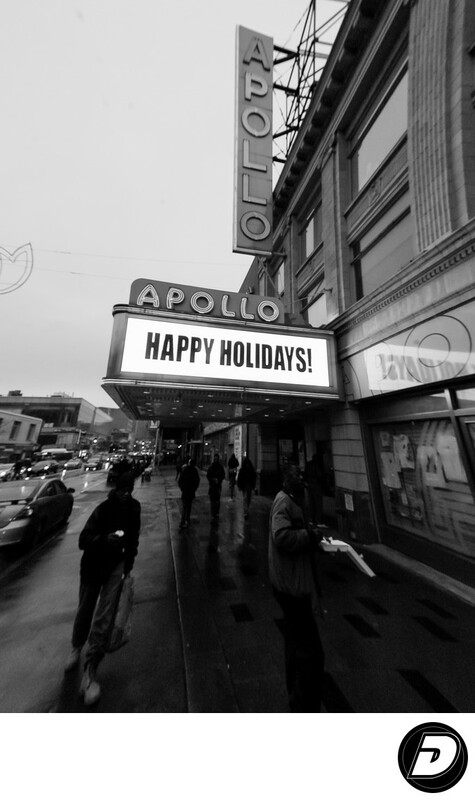 Harlem Apollo Theater Photographer, Most days I walk past the world famous legendary Harlem's Apollo Theater on the most popular street in Harlem, 125 street. This day was Black Friday, and the rain was about to start. Happy Holidays displayed about, I though shooting this in black & white would have been more powerful and timeless. Location: 253 W 125th St, New York, NY 10027.